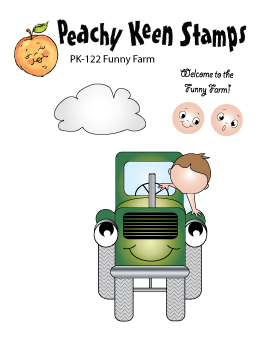 This month's new release of stamps at Peachy Keen Stamps are stellar! 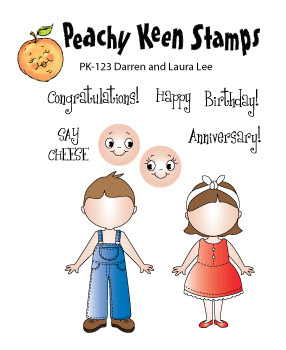 Check out these awesome stamp sets and the Peachy Picks paper kit. I created this card for the new release party challenge over at the PKS Connection. I used the new PK-124 Thank You Dolls. Isn't this the cutest set? 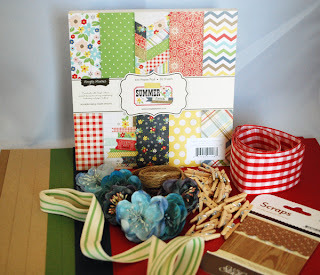 The card stock, designer papers and ribbon are all from the July Peachy Picks Paper Kit. 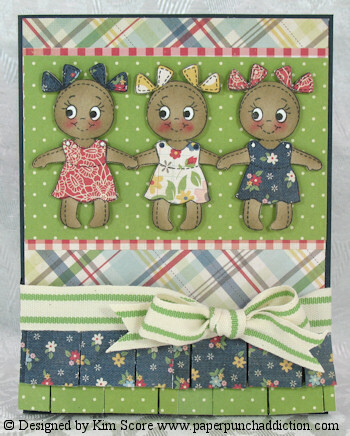 This is the cutest card - love the patterned paper combination! Wishing you a happy weekend! We have 103 again here today in this part of WI! Hope you have cooler weather! Dommage, que j'habite en France. Oh my goodness!! This card is ADORABLE! Great job! Thanks for sharing. Kim ~ ADORABLE! I LOVE, LOVE how you did the bottom of your card1 WOW!!!! 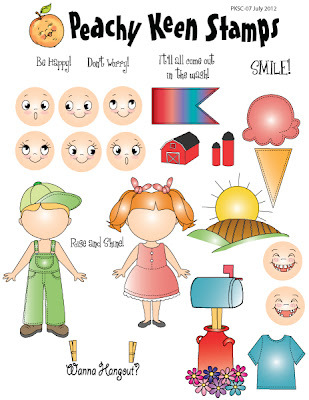 The papers are just to PERFECT with these images!